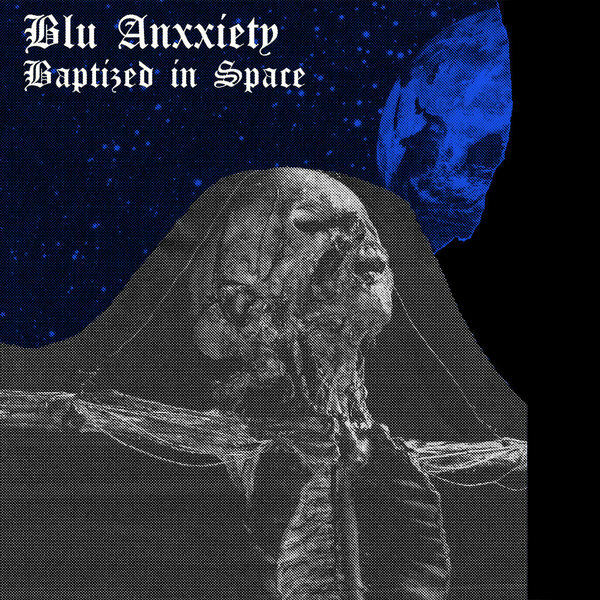 Baptized In Space is the debut 7” single of NYC’s Blu Anxxiety, who are fresh from dropping their first cassette, God’s Exposure, a little over a month ago. That demo introduced the band’s self-proclaimed “Dark Freestyle,” (take the doom and gloom of classic Post-Punk/Goth music and slap it with the dancefloor-ready infectiousness of Freestyle) which plays as a natural progression from frontman Chi Orengo’s previous project, Anasazi. While they stood monolithically as one of the most unique and exciting (especially their fiery live show!) contemporary post-punk bands, this new style of sound allows him to really go full force and release the beast and let his charisma and his, well, BEING take this performance to whole new heights. I know I say this every single time Toxic State releases a record, but the label has really outdone itself with the printing of this EP…it looks incredible!! This is an exciting new chapter indeed! Highly recommended. -Adam / Material World.